Odif Adhesive for all your needs. 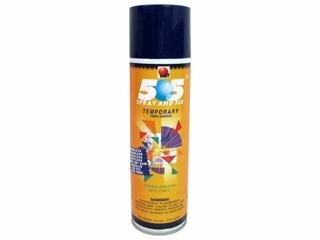 505 Spray & Fix Temporary Fabric 12.4oz- A temporary, repositionable fabric adhesive designed for quilt basting, applique, sewing, embroidery and crafts. The adhesive will not transfer from the surface that is sprayed. Eliminates pinning and allows repeated repositioning! It does not gum up sewing needles, cleans up with soap and water, and will not make your project sticky if applied to the pattern. It is odorless, colorless and acid-free. Read warnings on label before use.